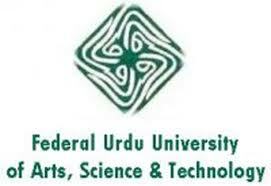 The Federal Urdu University of Arts, Sciences & Technology enjoys the unique distinction of being the first ever university in Pakistan, which ultimately aims at using Urdu as the main language of instruction and teaching. The University was established on 13th November 2002 under Ordinance No. CXIX of 2002 promulgated by the President of Pakistan. As per provision of this ordinance the university has its principal seat at Islamabad.